Mom Taxi Julie: Golden Girl? I remember when I was a kid and The Golden Girls would come on. It was always kind of funny, although I probably didn't get ALL the jokes. Today Jessica wanted me to come pick her up from school because she didn't feel good. I decided I'd be nice and went and picked her up. When we got home she layed (is that a word? or is it laid) down on the couch and put a show on. After that show was over (don't even remember what it was) The Golden Girls came on. 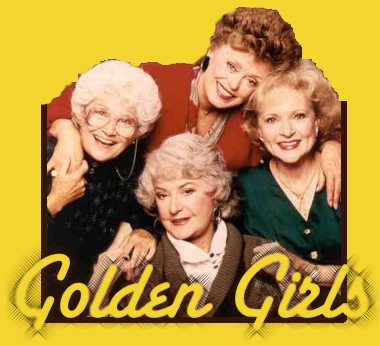 Did you know that Estelle Getty, who played Sophia, the oldest of the ladies on the show, is actually the youngest in real life? Thank YOU for being a friend, a blogger! I hope I'm not either. ...she's going to hate me for sure. But...I refuse to reach the Golden Girls age.